Corneal diseases are conditions that affect the corneas in our eyes. Your corneas are the clear layers that sit on top of the pupil and the iris. Corneas act as protectors for the iris and the lens, they also have a part to play in focusing light. Corneas are hard and relatively tough, but they are sensitive to touch and can be damaged by a range of conditions and diseases. Here, we go over the symptoms of corneal diseases and some of the causes. We’ll also take a look at some of the most common corneal diseases. It should be noted that the cornea can also be affected by injuries. Some of these injuries can cause symptoms similar to those of corneal diseases. This is not something that can be self-diagnosed. If you experience any of the above symptoms please see an eye specialist as soon as possible. The causes of corneal diseases are varied, as too are the individual diseases or disorders themselves. Thus, there are no common causes. However, some of the risk factors associated with corneal diseases are hereditary, that is, a genetic condition passed down by your parents may be the cause. Trauma and infections can also be a precursor to corneal diseases. An inflammation that affects the cornea. The inflammation occurs as a result of an infection, a fungus, or some bacteria entering the cornea. This is herpes of the eye and it is most often caused by the herpes simplex virus, the same virus that causes cold sores. This condition is identified by sores appearing on the cornea. There is no cure for the herpes virus, but the condition can be controlled with anti-viral medication. Shingles is a condition whereby the Chicken Pox virus reappears in people who have already had Chicken Pox, this mostly happens in later life. Like ocular herpes, shingles can cause sores on the cornea and the condition is controlled with anti-viral treatments. Corneal dystrophies are a grouping of diseases that cause problems in the corneal structure. A condition in which the cornea undergoes a distortion of the curvature and thins. This condition may also cause a loss of vision and/or near-sightedness. Do not delay – see your doctor! If you suspect that you may have one of the corneal diseases, don’t delay treatment. Please make an appointment or walk in to see us here at the New Jersey Eye Center in Bergenfield, NJ, as soon as possible. Most types of corneal diseases can be swiftly rectified with proper and prompt diagnosis and treatment! Short Description: Corneal diseases are conditions that affect the corneas in our eyes. Your corneas are the clear layers that sit on top of the pupil and the iris. 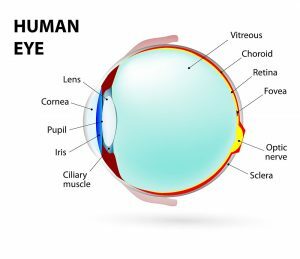 Corneas act as protectors for the iris and the lens, they also have a part to play in focusing light. Corneas are hard and relatively tough, but they are sensitive to touch and can be damaged by a range of conditions and diseases. Here, we go over the symptoms of corneal diseases and some of the causes. We’ll also take a look at some of the most common corneal diseases.